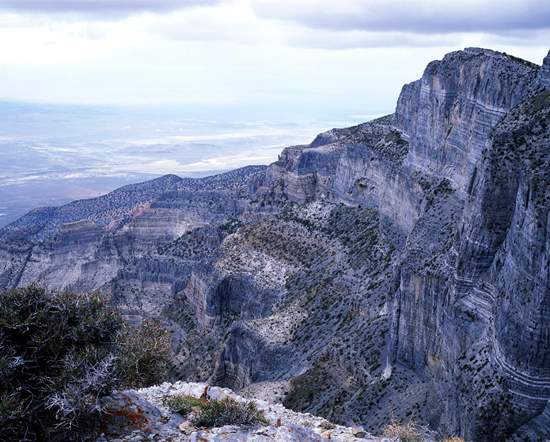 Limestone cliffs of the House Range from near the summit of Notch Peak. Iron oxide in the Chinle Formation north of Long Canyon. 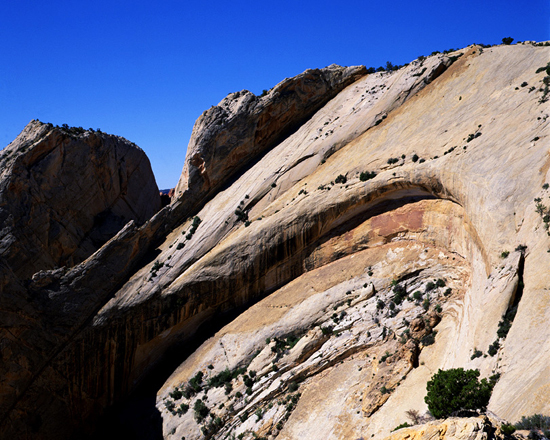 Arch formation in the Waterpocket Fold. 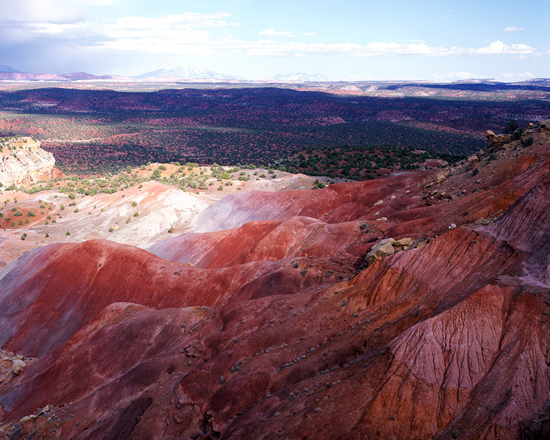 Looking south from The Strike Valley Overlook in Capitol Reef National Park, UT. Gravel/rock slabs - High Clearance 2WD/4WD - impassable when wet. 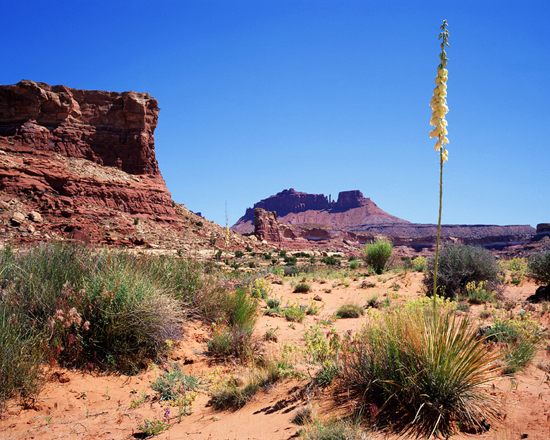 Blue Yucca and Sandstone Mesa. Looking north-northeast to Gunsight Butte from Red Point on the Utah Highway 95 to Flint Trail access road on BLM lands. Gravel/rock slabs - High Clearance 2WD/4WD. 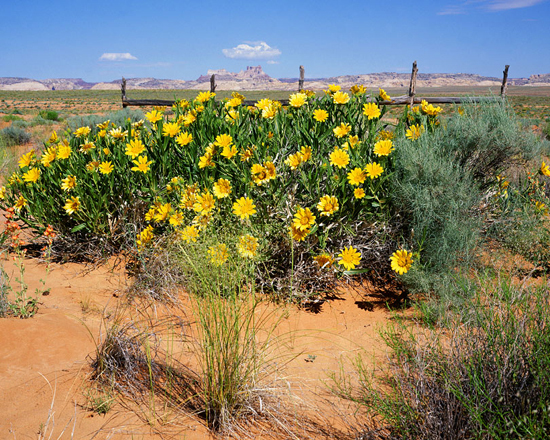 Rough Mules Ears and Temple Mountain in the distance. Notch Peak and Tule Valley. 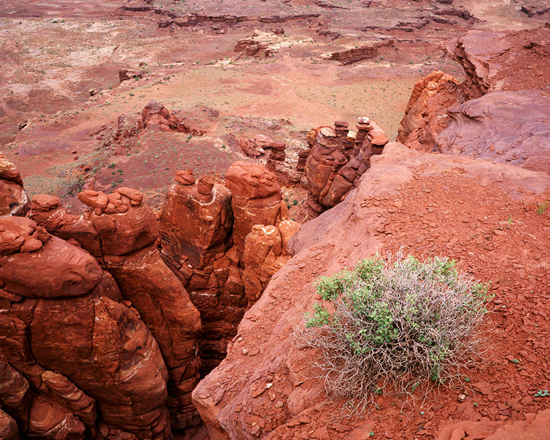 Tilted Navajo Sandstone and the Carmel Formation. 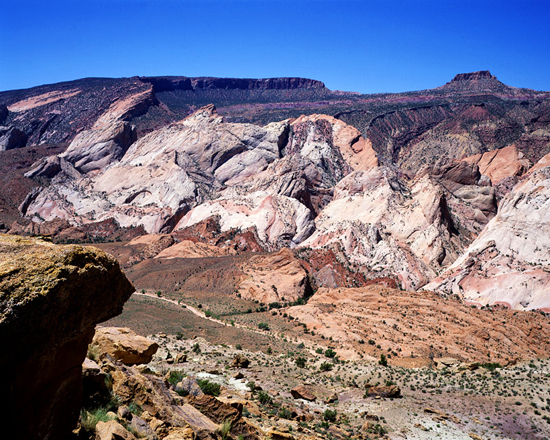 Looking southwest from Halls Overlook three miles west of The Notom-Bullfrog Road in Capitol Reef National Park, UT. Gravel/rock slabs - High Clearance 2WD - impassable when wet. 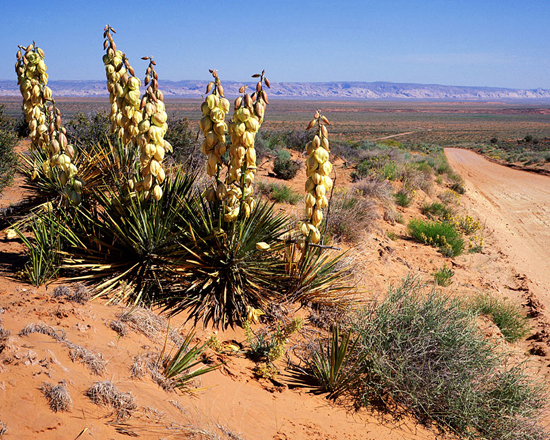 Flowering Yucca in The San Rafael Desert. Gravel/sand - Standard auto to Hans Flat Ranger Station - H.C. 2WD/4WD beyond. 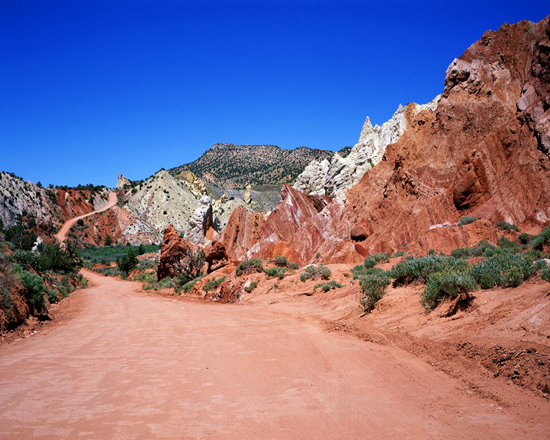 Cottonwood Wash Road and Tropic Shale below the Cockscomb. Gravel/dirt- Standard auto - impassable when wet. 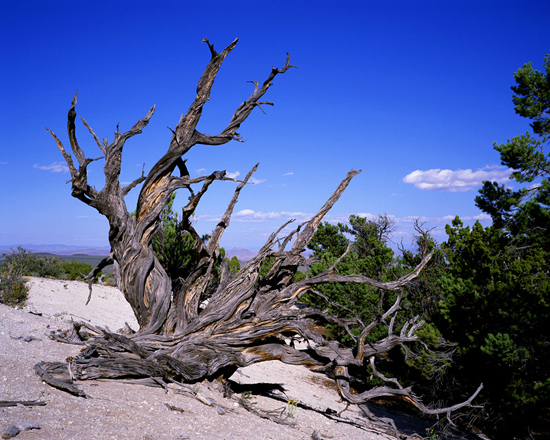 Utah Juniper at the base of Crystal Peak. Hurrah Pass and Utah Serviceberry(Amelanchier utahensis). Gravel/dirt - High Clearance 2WD- impassable when wet. Wheeler Peak from the Wheeler Peak Scenic Drive. 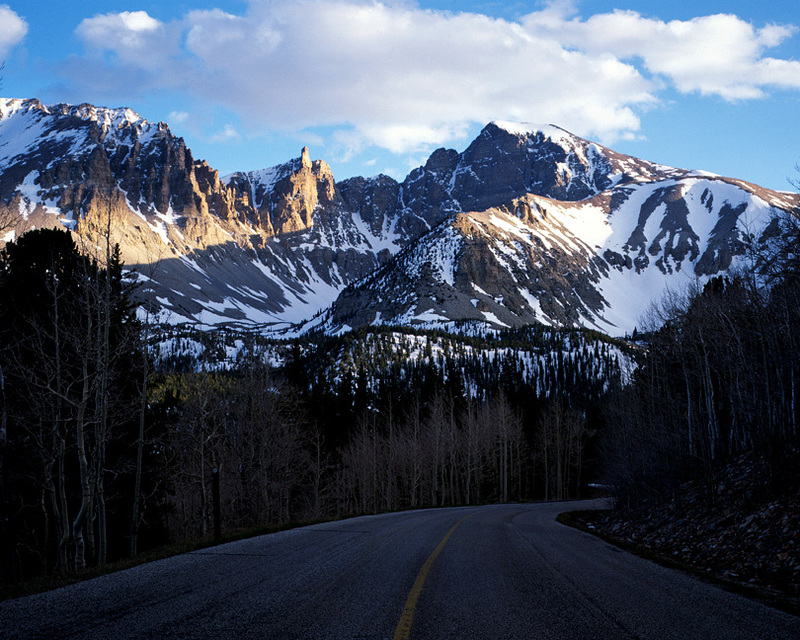 Looking south from the Wheeler Peak Scenic Drive in Great Basin National Park, NV. Paved - Standard auto - closed in winter. The Wedge and San Rafael River. 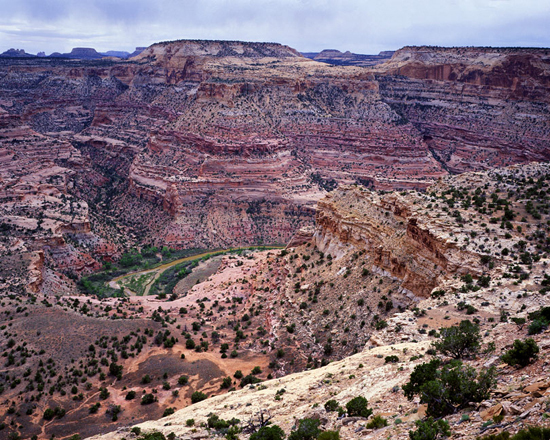 Looking south from the Wedge Overlook into the San Rafael River Canyon, UT. 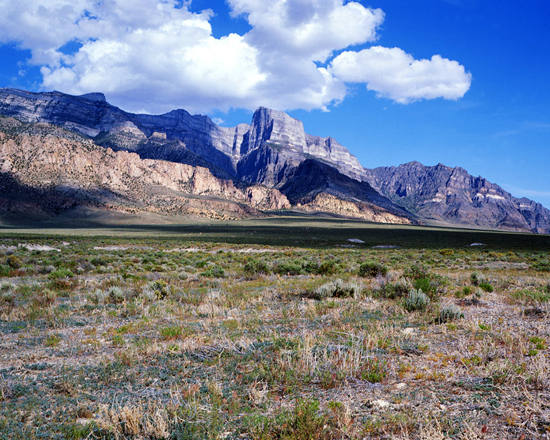 (BLM Lands).